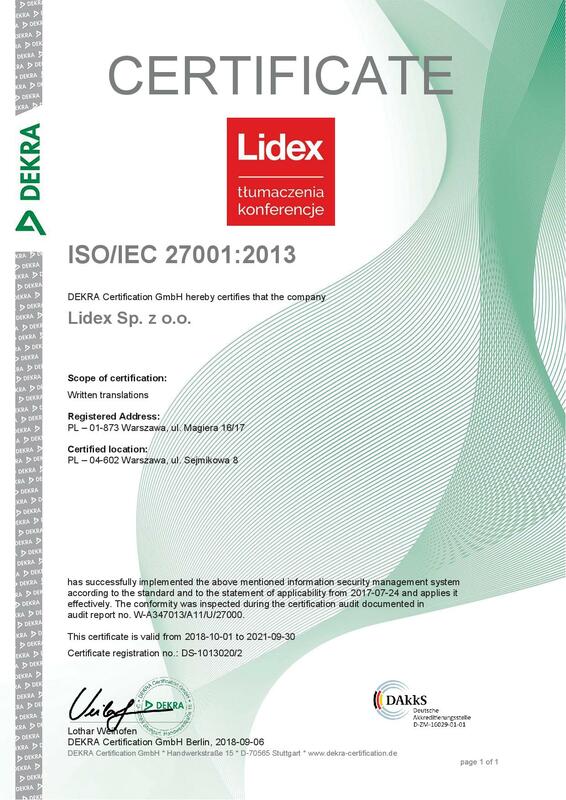 The LIDEX Translation Centre is a company which combines tradition and modernity. Our services are performed by the head office in Warsaw as well as by our branch offices in Gdynia, Łódź and Katowice. Our translation and interpreting services as well as customer service are adjusted to the needs of Customers from all regions of Poland. In addition, for 30 years, we have been implementing new services and solutions in order to provide our Customers with translation, interpreting, conference, graphics and film services of the highest quality, using state-of-the-art IT tools. 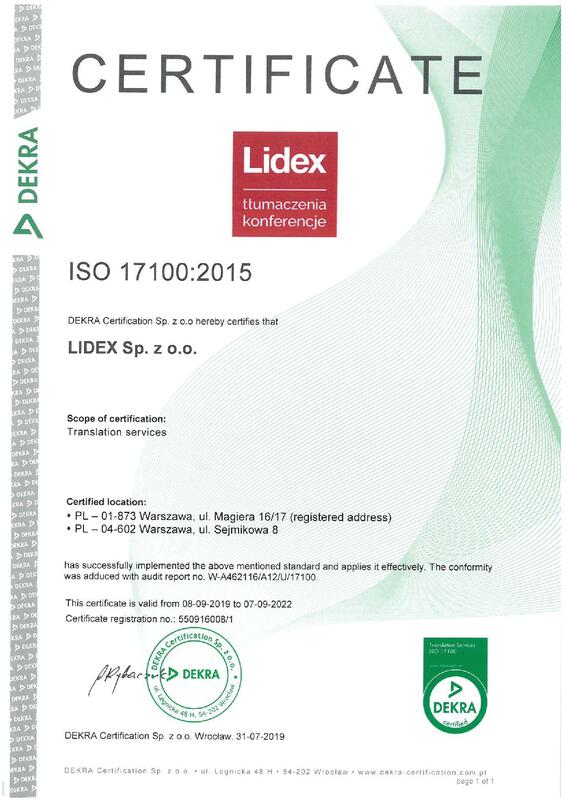 LIDEX – Translation made easy! CSR Our company regularly engages in activities for the benefit of the local community and makes contributions towards charity. We are a sponsor of many foundations as well as the partner of the Royal Castle in Warsaw and the Zachęta National Gallery of Art. We support a variety of cultural events. We also collaborate with our Customers on various CSR projects. AN ECO-FRIENDLY COMPANY We have manufactured and distributed thousands of office items and other articles made of natural materials (wood, paper, canvass or glass). We regularly implement eco-friendly projects, such as the “Be Visible” campaign aimed at the children who begin their education at schools located in the vicinity of our offices. INNOVATION We put our trust in the right people, who are ready to search for new solutions and improve them. 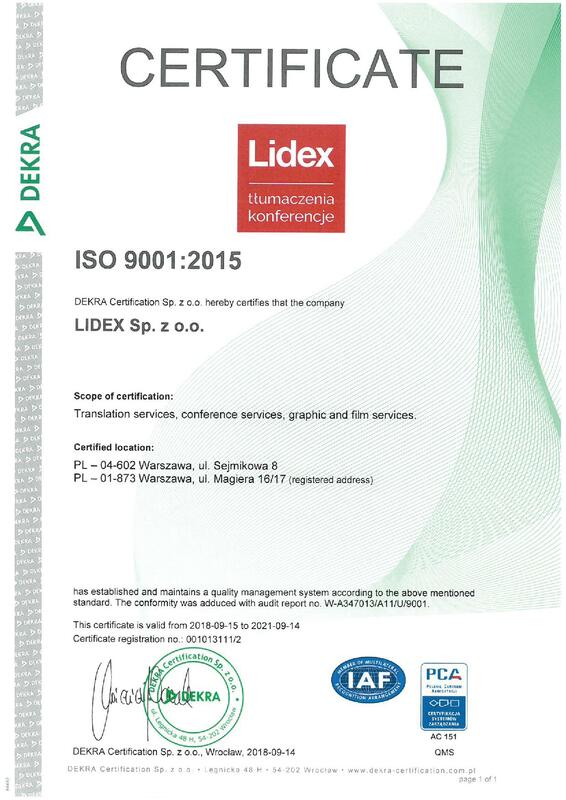 We make these solutions available to our Customers: the LIDEX Customer Portal (a customer service platform), the ITis database system, CAT tools (MemoQ Server) and translation quality assurance tools, graphics and film editing software as well as conference solutions designed to optimise the sound and picture.